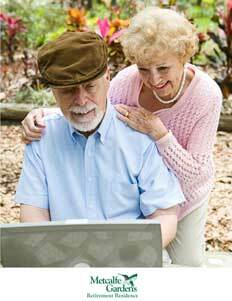 Metcalfe Gardens creates a unique retirement experience that stands apart from the rest. 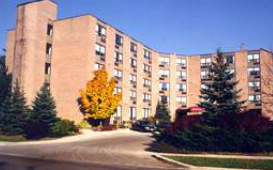 Founded in 1988, as one of St.Thomas’ two retirement homes, Metcalfe Gardens began in a time when retirement homes were a fairly new concept in the area. The building is five stories high, and has 97 suites of seven different sizes. The home houses anywhere from 92 to 106 residents, on a regular basis. Lackey was initially hired as a day health care worker at Metcalfe Gardens after having been a nurse at a local hospital. Although Metcalfe Gardens is not a long-term care facility, governed by the Ministry of Health, it does house people with memory issues while providing services such as medication administration and physical care assistance. Metcalfe Gardens residents are generally 78 to 98 years old, with an average age of 87- up from 84 when it began 25 years ago. Most of its patients are from the St. Thomas area, while a small proportion of patients come from surrounding rural areas. To accommodate the varying age range and needs of its patients, Metcalfe Gardens offers a flexible model that allows those who only require specific services to create their own personalized plans. Acting as an intermediary, Metcalfe Gardens also integrates the plans of patients with Community Care Access Centres (CCACs), and other agencies in the city to ensure that they are eligible for, and have access to, professional services from the community. This creates a level of connection to the surrounding city that mimics the experience of living in a house or apartment. Despite the fact that the company’s work ethic has remained the same throughout the years, the ever-changing technology in the field has required it to adapt to the evolving landscape in order to continue to provide a high level of service. On top of technological advancements, the industry continues to change because of the recent government requirement of licensing retirements homes. Before this new mandate, the Ontario Retirement Communities Association (ORCA) was a voluntary organization that helped homes provide a quality level of service. Now, the ORCA acts as an educator to assist retirement homes in meeting the mandatory government standards of the Retirement Homes Regulatory Agency (RHRA). When asked about what sets Metcalfe Gardens apart from the other two existing retirement homes in St. Thomas – one of which is attached to a long-term care facility and the other a smaller home converted from an old school that doesn’t offer services – Lackey responded quickly. Surrounded by beautiful gardens, a gazebo area and plenty of recreational options including a chapel, library, physiotherapy room, and games room, Metcalfe Gardens makes an effort to break free of the traditional retirement home image. It also owns a 16-passenger bus for outings and utilizes a sprinkler system throughout the property to ensure quality maintenance. With various renovations over the past few years and numerous awards through the Natural Quality Institute for their Continuous Quality Improvement program, Lackey is confident that Metcalfe Gardens will continue to deliver services based upon its strong core values.